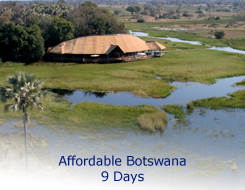 From Victoria Falls via Chobe National Park and the Chobe River into the Okavango Delta this journey delivers some of the great natural wonders Africa has to offer. The area is also rich in animals, which are seen during multiple included game drives. Some of the included transfers are by bush-plane, which add enjoyment.